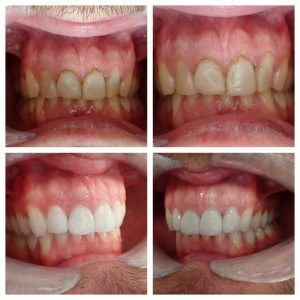 Dental Veneers: What are they? Dental Veneers are thin but strong slips of porcelain that are bonded to the tooth surface to change the shape and colour of the tooth. 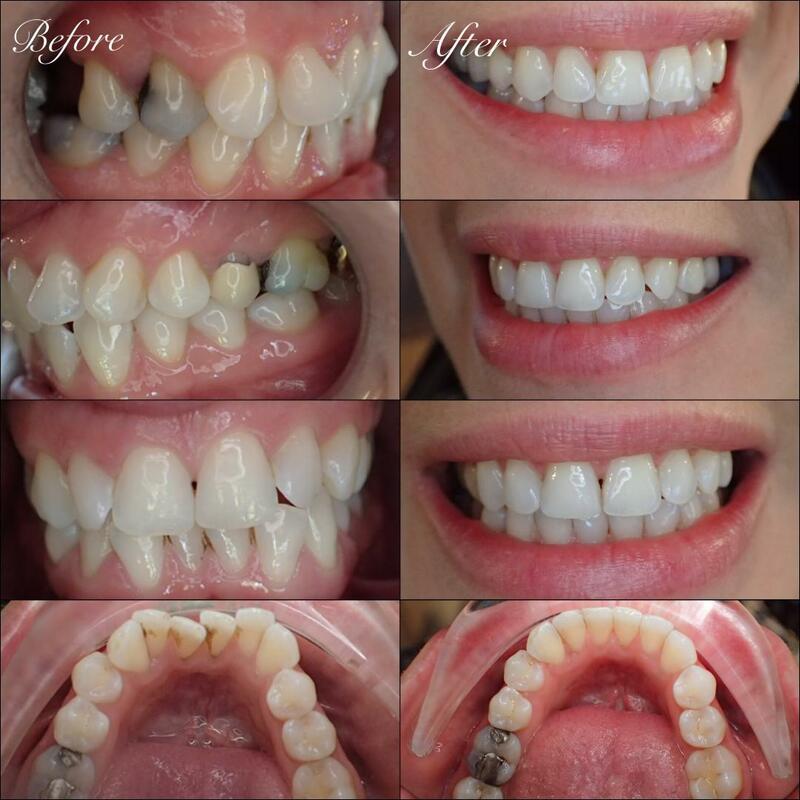 If more than one tooth requires treatment, then a smile can be completely transformed. Basically, porcelain replaces the damaged/dark/poorly shaped tooth. After a thorough consultation, x-rays are taken, followed by a full discussion of costs and processes. During treatment, a very small amount of the front surface of the tooth is removed. On occasion, no tooth is removed – as with lumineers – but it’s vital to select these cases carefully, as teeth can appear goofy otherwise. A typical preparation takes approx 1 hour per tooth. If multiple teeth are treated, then the time is reduced, as individual procedures to produce a veneer don’t need to be repeated per tooth. Who do they suit best? People with teeth in relatively good condition and healthy gums. Although smoking doesn’t damage/stain the veneers, gums may need to be treated before veneers are placed. Veneers can produce fantastic, real-looking teeth. As they can be as thin as 0.3mm, the underlying tooth can shine through and have a naturalness that is outstanding. I work with 1st Dental Laboratory in Paignton, who see my patients to assess their facial shape and lip structure, which helps to ensure the best outcome. It’s difficult to give a lifespan for a veneer, as teeth are functional. Natural teeth can break, so it’s too much to expect a veneer to be a solid replacement and lifetime treatment. Always ask your dentist about guarantees at your consultation. I’m always asked if they’re likely to fall off … if the bite is correctly analysed, then typically ‘no’. However, veneers are not the answer to poor dental care and are not designed to bite nails or open bags! If the tooth is badly broken down, then crowns are a better option. If the tooth is just yellow or out of position, whitening and/or the Speed Brace/Invisalign (discussed in previous issues) may be better options, thereby avoiding removing any tooth at all. Leave your details and we will ask our treatment coordinator to contact you. We also follow strict GDPR which means we will not share your details with a third party.